The University of Mobile (Alabama) has operated a campus wastewater treatment plant for the past 40 years including an “end-of-pipe” discharge via the NPDES permit process to Chickasaw Creek. The original treatment process called for a conventional series of facultative stabilization ponds to comply with the minimal permit requirements for secondary treatment. In 1998, the treatment process was upgraded using a fixed activated sludge treatment (FAST) as a polishing process to the stabilization ponds and chlorination for disinfection, with dechlorination before discharge to the stream. With the increasing liabilities and newly-promulgated water quality regulations, it was determined that discharge to Chickasaw Creek was not in the best interest to the University. In 2008 plans were implemented to locate a suitable location for land application of the 50,000 GPD discharge, thus eliminating the downstream liabilities and increasingly stringent water quality requirements of the direct discharge to the stream. A drip dispersal system was selected as the disposal option by transporting to the treated effluent from the FAST process to an area with suitable soil conditions on the University’s property. Disposal sizing was optimized due to the existing treatment process reaching tertiary treatment levels. 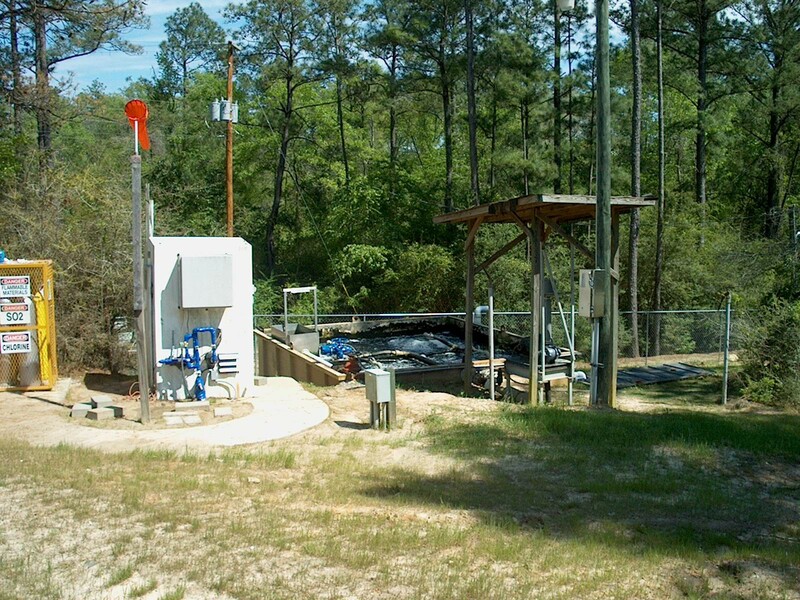 A 2-acre drip dispersal system was completed in November 2009 using GeoFlow drip irrigation equipment.